Surrounded by a multitude of industries in the area, including rubber tyres, railway braking systems and contemporary industries this Melksham business centre provides a mix of furnished office and workshop space with on-site parking for staff and guests. This serviced office has been newly refurbished to provide a variety of different sized offices, which all feature high-quality furnishings and air conditioning. This address is conveniently close to all that Melksham has to offer, and nearby amenities include places to eat and drink, such as Costa Coffee and Greggs, as well as banks, supermarkets and other shopping outlets. The space is accessible 24-hours a day. 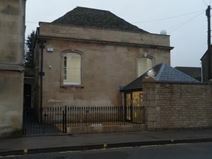 Located in the centre of Melksham Town centre, close to shops and restaurants, this lovely period property provides two floors of office space, with meeting rooms and an executive boardroom on the first floor. 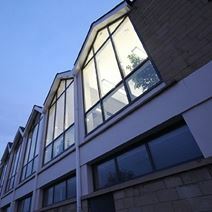 Available as a whole or as two separate spaces, this centre is also close to cafes and open spaces. Offices are air conditioned, and there is CCTV, as well as new carpeting, kitchens and bathrooms. 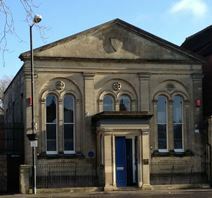 This converted Quaker building is located in the centre of Melksham. There is a variety of flexible spaces ranging from one-person offices through to 10-person larger offices. The space is surrounded by lovely cafes and restaurants, as well as pubs where you can enjoy a drink after work. There is a Travelodge fairly close by, and the centre offers access 24-hours a day, with a security system in place.